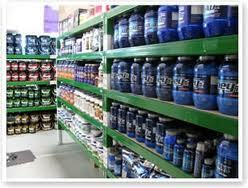 So many brands of supplements, vitamins and antioxidants to choose from; more than 25,000 brands crowd the shelves. With all the advertising claims and the lack of knowledge about nutritional content it is difficult for the average person to understand what is in the supplements you buy. Who knows what you are really getting? Read the label. Be sure it says “USP” or “ConsumerLab.com” on the label. Both of these seals ensure the supplement really contains all the ingredients the label lists. They also ensure the amounts of the ingredients are accurate. The USP and ConsumerLab seals also guarantee the supplements have been screened for poisons or contaminants like pesticides or bacteria. Look for age specific or gender specific supplements instead of one vitamin supplement for all. New information shows that people in different age groups and genders have different requirements. For example, younger women may need less iron than post-menopausal women. Usually men need less calcium than women. After age 55 many people need more or less of particular vitamins or minerals. So keep in mind who is taking the supplements when you make your selection. Realize their needs may be different than yours. Pay attention to expiration dates. Most supplements lose some potency after a period of time. Warm climates hasten this process and may diminish benefits sooner. If the container is close to the expiration date the ingredients are less likely to be as potent as they claim. Perhaps that is why they are on sale. Avoid supplements without an expiration date. Remember to discuss your vitamins and supplements with your health care practitioner before you start buying and taking them. If you have any health problems or are taking other medications, this is especially important. Before you begin using supplements be sure your diet is on track first.